These signs make the perfect gift for any Aggie and support scholarships for local Texas A&M students. They are great for graduation photo shoots! All signs are authentic TxDOT road signs manufactured by the same company that makes the signs you see on Texas roads. Take advantage of our Family Weekend Special! 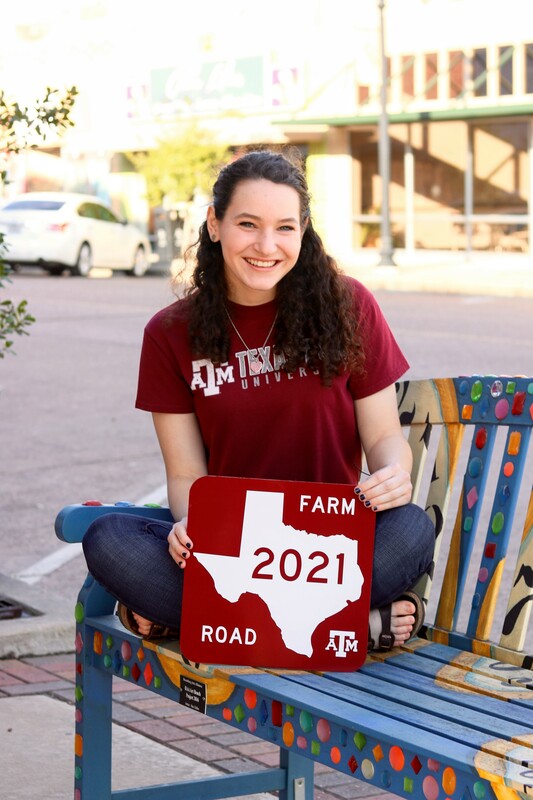 Pre-order your Aggie signs now for pick up at Family Weekend to qualify for both free shipping and no sales tax. Pre-orders available Friday, February 15 – Friday, March 22. Pre-order between Friday, February 15 – Thursday, February 28 and enter promo code EARLYBIRD to receive a 10% discount. 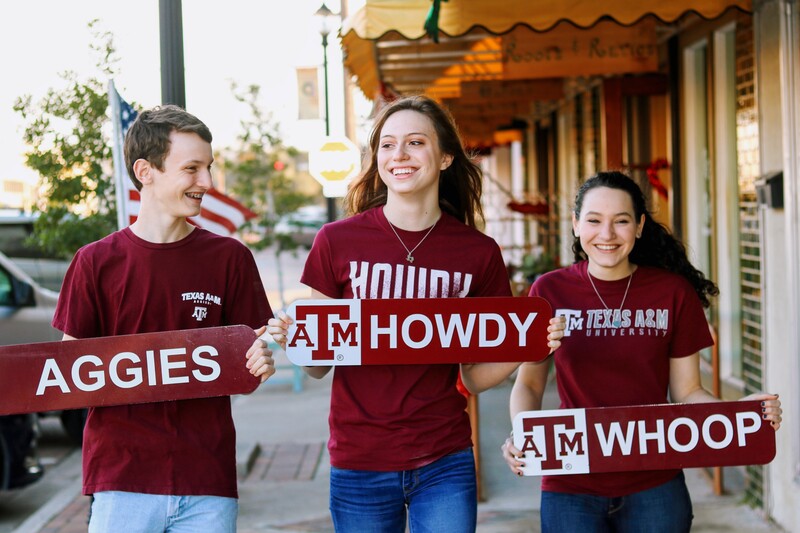 Click here to purchase these discounted Aggie signs on our Family Weekend link. Pre-orders must be picked up during Family Weekend to qualify for these discounts. Questions? Please email us at info@aggiesigns.org or call Sharon Hresko at 713-376-3952.